Really this post should be called, ‘I need a minion to follow me around to take pictures of me for my blog.’ I don’t know how Personal Style bloggers do it, who is that lovely person with a camera dangling from their necks always ready, willing and able to take pictures of them in fabulous locations whilst they, ‘Strike a pose, Vogue’? Do you have dresses that you love but somehow rarely wear? For me, this electric-blue number is one of them. For whatever reason, when I wear it I want to head to Studio 54, I love the colour, the way it moves when I walk and most importantly, I love the length. I am very particular about my dress length, and it’s usually very difficult for me to find dresses with this length…. This is MFSL’s first ‘Designer To Watch’ feature: every morning I have a ritual where I peruse the Net to see what is new and emerging in the fashion industry, and I often pay extra attention to fashion that is African or African-inspired. Her debut collection which is made up of printed and monochrome tailored pieces feature exquisite detailing like floor-grazing, red-carpet friendly low-back gowns, draped cocktail dresses with dramatic, wing-like sleeves and tailored bell-bottom trousers. 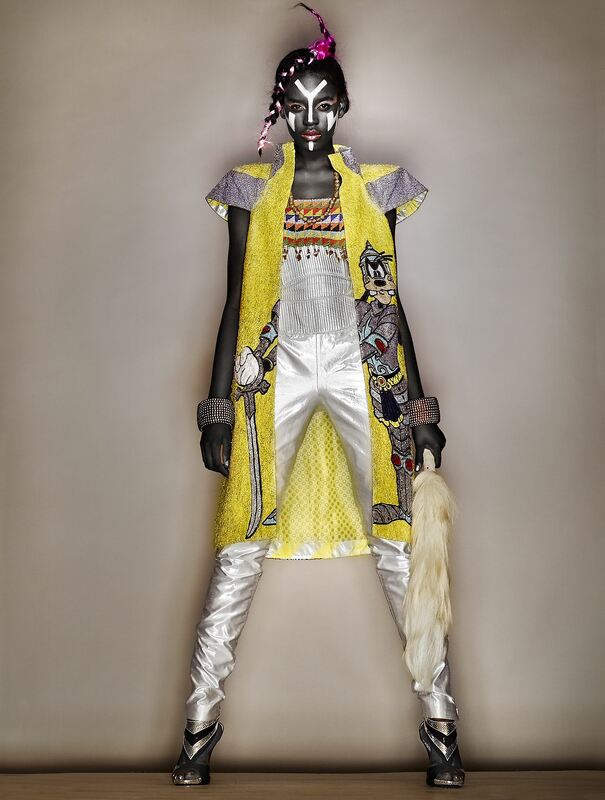 The collection is said to be inspired from Nwabuzor’s desire to fuse both traditional African and Parisian elements to create a collection that is essentially conscious of both the past, present and what the future could be. It is no wonder that although Nwabuzor is relatively new to the scene, she has already been featured in impressive titles like Nylon, NBC NY, V, Elle and Surface. 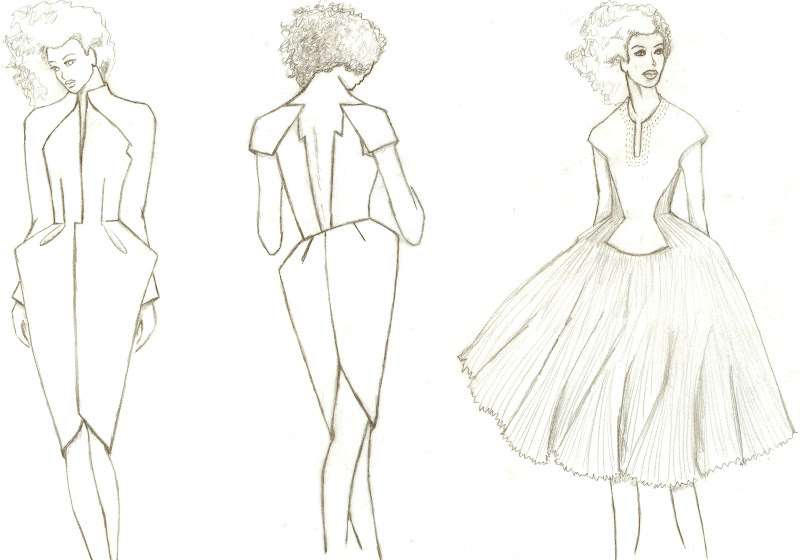 Furthermore, I love a good story behind an emerging designer and I was very interested to learn that Nwabuzor knew she wanted to be a fashion designer from the tender age of seven, when she found out that a fellow classmate had been offered $5 a sketch from a designer. The very fact that one could earn money from sketching clothes had such a strong impact on the young Nwabuzor, that she informed her mother that very day about her desire to become a fashion designer. Also coming from an African background, where it is more often the norm for your parents to have a minor heart attack with such a vocation announcement- I was pleased to learn Nwabuzor’s mother supported her right then and there. 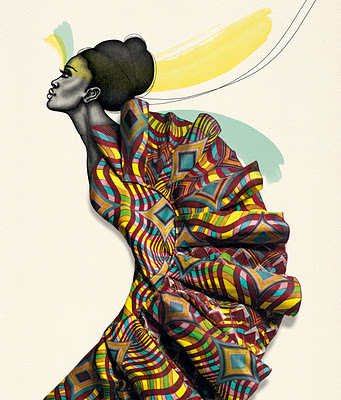 What I particularly love about the pieces from the Ana Kata debut collection is the fact that there is a seamless flow and symmetry that flows with each piece of the collection binding them together to form a coherent collection– a feat not easily achievable with a lot of collections that borrow from African and International influences. Presently Ana Kata pieces are available exclusively on a made-to-order basis, and fans will be interested to know that an Ana Kata online shop will be set up this Fall which will stock her signature printed scarves as well as ready-to-wear and jewelry pieces. I lived in Nigeria for 11 years before I moved to South West England to go to an English boarding school, and it was in the U.K I stayed until I moved to Berlin last year. As a teenager, I travelled home (Lagos) about three times a year, but as I grew older, my trips to Lagos during the year became fewer and the gaps in between each trip I took became longer. Consequently, I am not what one might call a ‘typical Nigerian or African’. However I am pretty comfortable with just how ‘Nigerian/African’ I am, because I feel that like religion- heritage and culture is a private thing. So I celebrate my African heritage and culture the way I see fit. 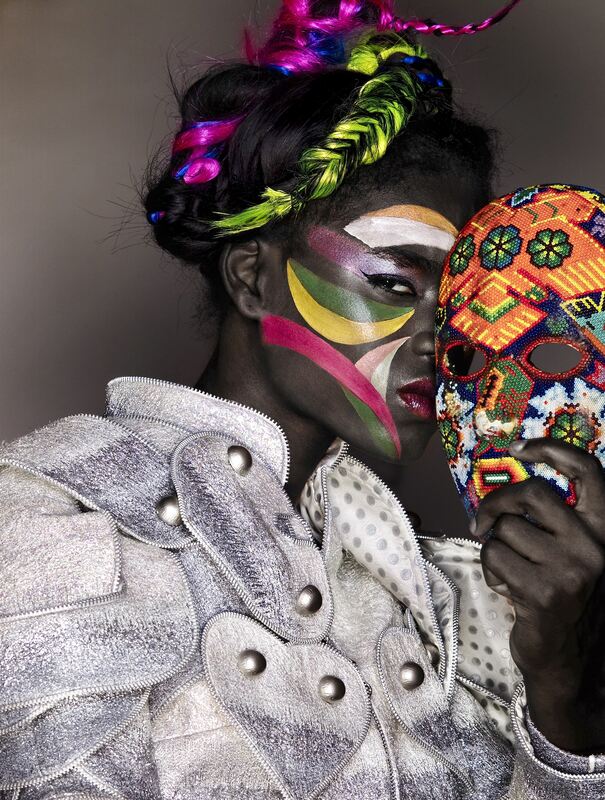 Since entering the fashion industry, when a project allows- I have always tried to show my culture, whilst blending it in with other cultures because not only do I find this eclectic fusing truly reflective of who I am as a person, but I love the way fashion allows one to experiment with inspirations and cultures from all over the world. A typical example of this cultural fusion is the Zula shoot I did a while back, which is still my most popular shoot to date. For this shoot I was inspired by one of my favourite icons- Grace Jones. I adored the warrior role she played as ‘Zula’ in Conan the Destroyer (1984). 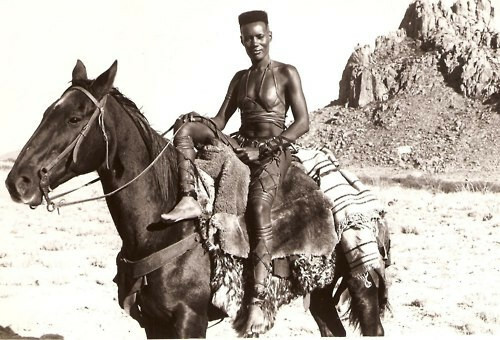 Maybe I should have been offended by the Hollywood stereotypical depiction of the ‘African woman’, but I think Grace Jones took that role, and for lack of a better word, killed it. Using her as my main inspiration, I conjured up a shoot where fashion wise I would use a black model, Nigerian artefacts, Ankara print fabrics I had bought from my local market in Lagos, pieces from my favourite fancy dress shop, Angels (London) and pieces from High-End designers like Manish Arora, Kristian AAdnevik and Ashish. I have to give great thanks to my team for taking my vision to another level, it was the photographer’s idea (Marcelo Benfield) to darken the model’s (Sosheba Griffiths) skin artificially. And kudos to the makeup artist (Ken Nakano) for taking tribal body paint inspiration from Grace Jones’s iconic, ‘I’m Not Perfect’ video. It was also a joy to see the hair stylist (Kunio), apply his talents in creating the neon extension wonder that adorned Sosheba’s head. 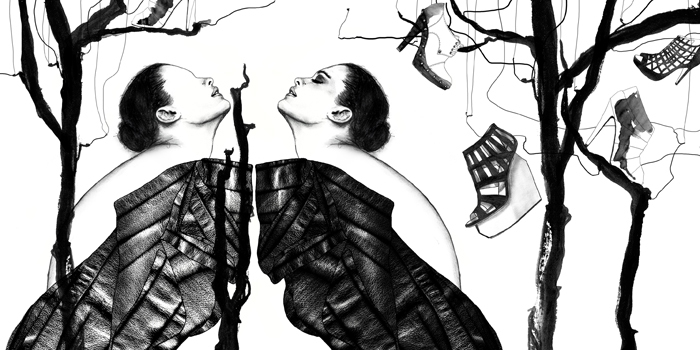 The above image ended up being chosen and exhibited for the Cannes photo mode, ‘8ème Festival International de la Photographie de Mode’ in 2010. 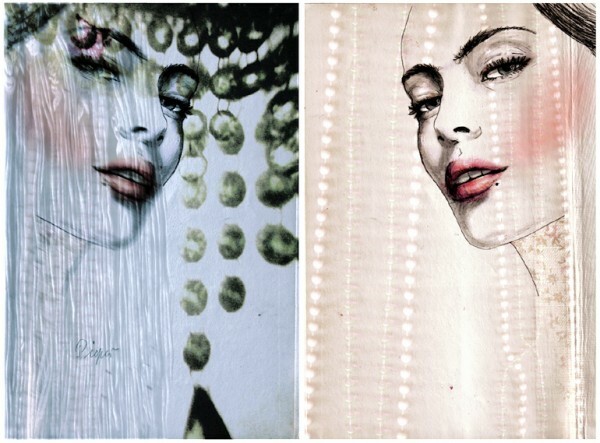 A few weeks ago, I blogged about the fact that I was looking for a fashion illustrator to add some much needed pizzazz to my blog’s custom header. The great news is I’ve FINALLY found one! I plan to give more information about who I got on a later post. 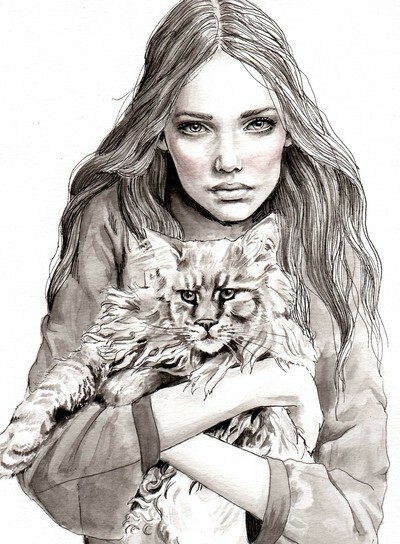 However, before I found her my search inspired me to write this post which I thought I should post anyway as this Berlin fashion illustrator’s work was made to be seen. 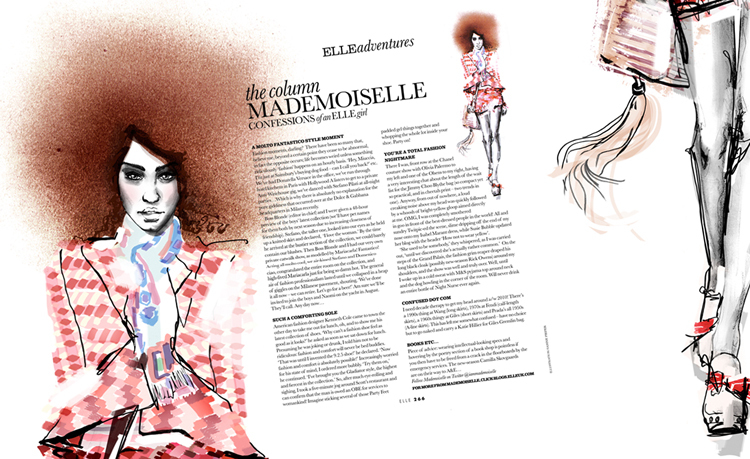 Her name is Sabine Pieper, and she is a Berlin-based, freelance illustrator whose breath-taking, striking illustrations now has her making regular features in Elle UK. All images are owned by Sabine Pieper.